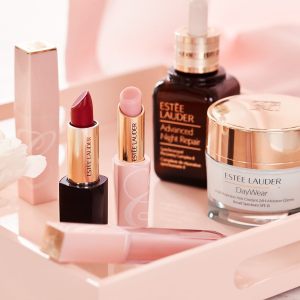 Estee Lauder offers Choose Your Collection: Lips or Eyes($130 Value) with any $42.5 purchase. 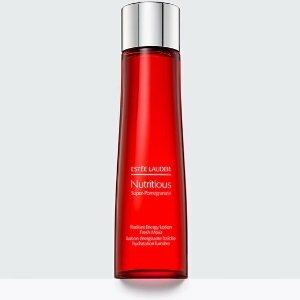 Plus, Choose a Free Sample with Every $25 You Spend up to $150. 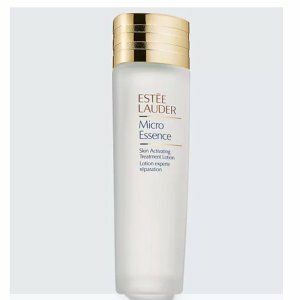 Estee Lauder offers choose 1 deluxe sample on every $25,up to 6, no code needed. 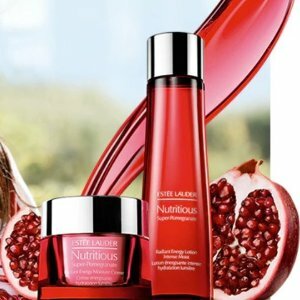 Estee Lauder offers get a free sample with every $25, up to 6 samples with Nutritious Super-Pomegranate , no code needed. 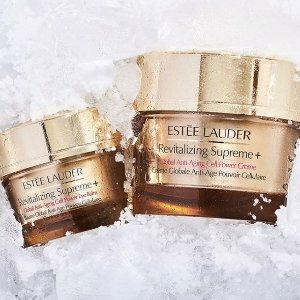 Estee Lauder offers get a free sample with every $25, up to 6 samples, with Revitalizing Supreme+ purchaseno code needed. 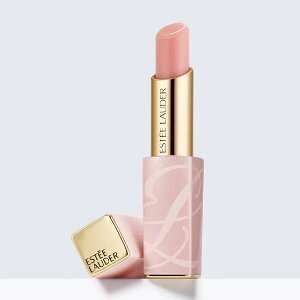 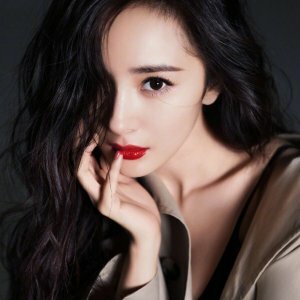 Estee Lauder offers new Pure Color Desire Rouge Excess Lipstick for $44. 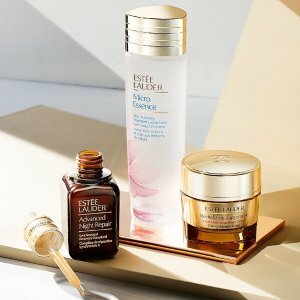 Estee Lauder offers receive deluxe samples of NEW Nutritious Super-Pomegranate Radiant Energy Moisture Creme & 2-in-1 Cleansing Foam on order over $50, via coupon code "DMMARCH19". 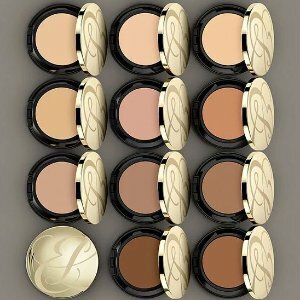 Plus, get a free sample with every $25, up to 6 samples, no code needed. 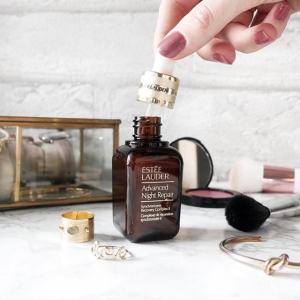 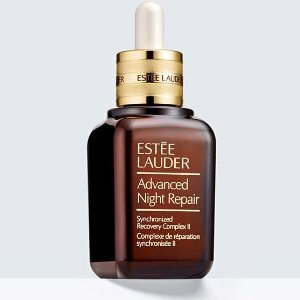 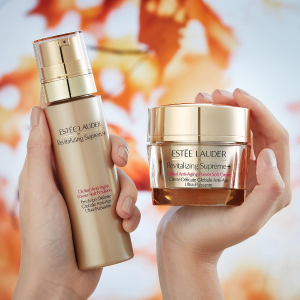 Estee Lauder offers receive deluxe samples of Advanced Night Micro Cleansing Foam and Advanced Night Repair serum on order over $50, via coupon code "DMFEBDUO". 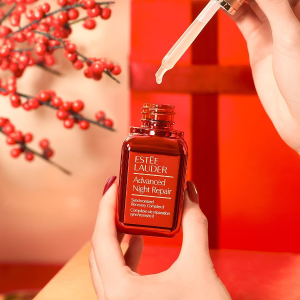 Plus, get a deluxe sample on every $25, up to 6. 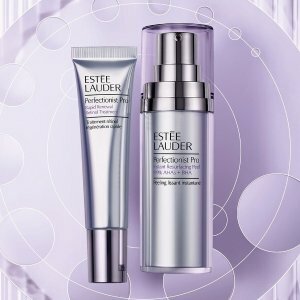 Deal ends on 3/1 11:59 PST. 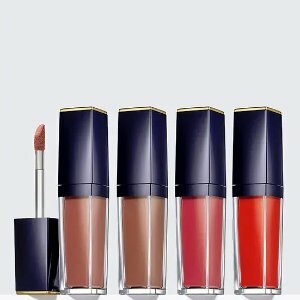 Estee Lauder offers receive 4 Pure Color Envy Paint-On Liquid LipColors for the price of 1 for only $28 ($112 Value). 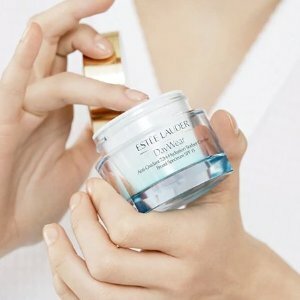 Plus, choose a free sample on every $25, up to 6. 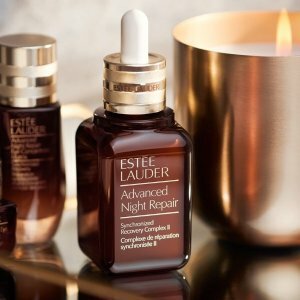 Estee Lauder offers choose free 7-pc gift (worth $145) with ANR Synchronized Recovery Complex II in Red Bottle purchase, no code needed. 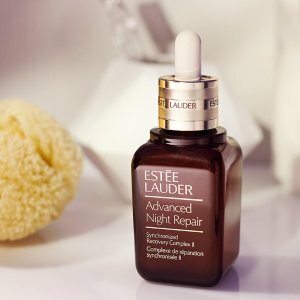 Plus, get a NIghttime Skincare Trio with any $75 purchase, via coupon code "SPRING19". 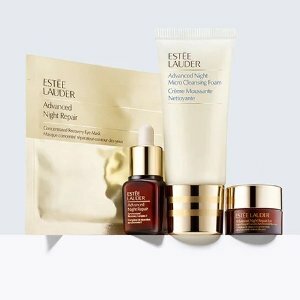 Estee Lauder offers choose free 7-pc gift (worth $145) with any $45 ANR purchase, no code needed. 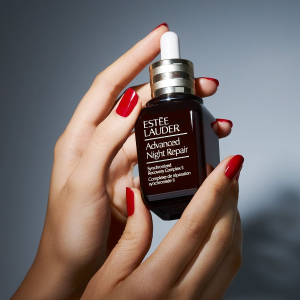 Plus, get a Nighttime Skincare Trio wth any $75 ANR purchase, via coupon code "SPRING19". 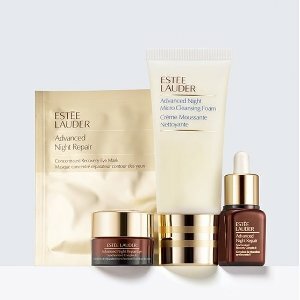 Estee Lauder offers choose free 7-pc gift (worth $145) with any $45 purchase, no code needed. 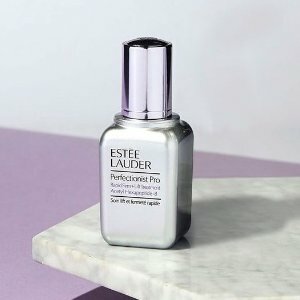 Estee Lauder offers choose free 7-pc gift (worth $145) with any $45 new Perfectionist Pro items purchase, no code needed. 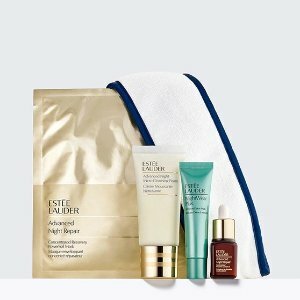 Estee Lauder offers choose free 7-pc gift (worth $145) with any $45 gift sets purchase, no code needed. 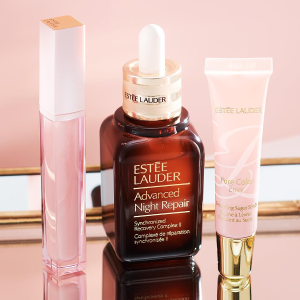 Plus, get a Nightime Skincare Trio with any $75 purchase, via coupon code "SPRING19". 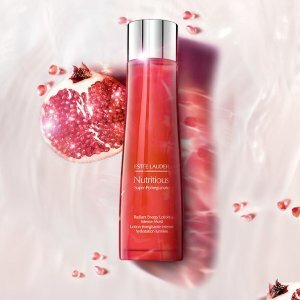 Plus, get a Nighttime Skincare Trio with any $75 Nutritious Super-Pomegranate purchase, via coupon code "SPRING19". 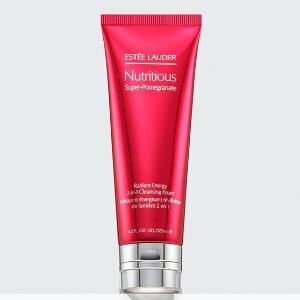 Estee Lauder offers choose free 7-pc gift (worth $170) with any $45 purchase of new Anti-Oxidant 72H-Hydration Sorbet Creme , no code needed. 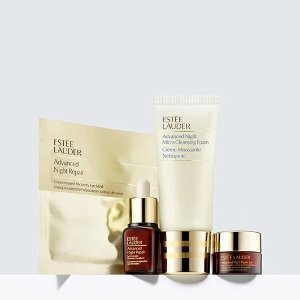 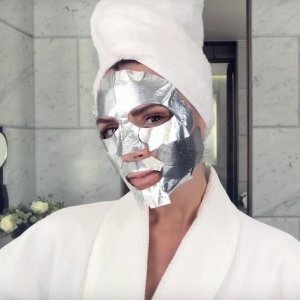 Estee Lauder offers choose free 7-pc gift (worth $145) with $45 Concentrated Recovery PowerFoil Mask, no code needed. 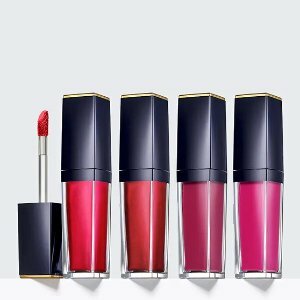 Estee Lauder offerschoose free 7-pc gift (worth $145) with $45 Double Wear Stay-in-Place Matte Powder Foundation, no code needed.